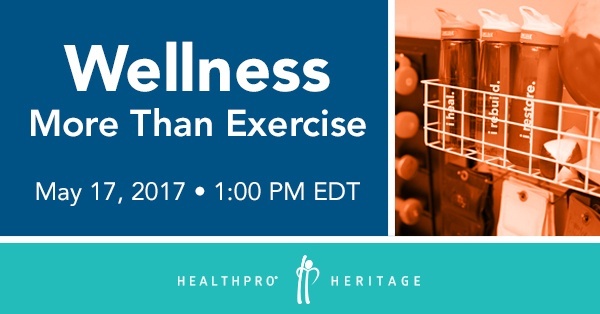 Please join us for a complementary webinar on Wednesday, May 17 titled "Wellness: More Than Exercise." Residents and adult children often expect a fully integrated wellness program. With the focus on preventative care, our approach at whole person wellness will assist you in surpassing your resident’s expectations, while setting you up for success as a differentiator to many of your targets; including prospective move-ins, their adult children, physicians, and more.